Serra da Cantareira Águas Minerais, owner of Puraqua brand, has a complete line of natural mineral water products. The company counts on distributors over the region of Greater São Paulo and São Paulo state coastal cities. Located in a nature reserve, its operational goals are qualitiy and sustainability. Puraqua is the first Brazilian brand in their segment to adopt the use of green plastics in their bottles´s taps. This resin developed by Braskem is originated from sugar cane ethanol. Its use reinforces the company´s proposal of adopting high sustainability standards in their processes. 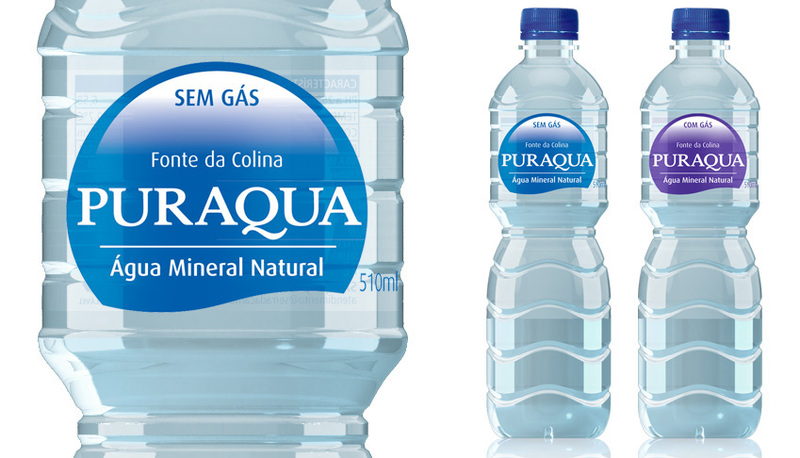 We created Puraqua´s mineral water label design for PET bottles and cups for still and sparkling water. The concept employed used maximum transparency and simplicity to facilitate product recognition and recall. The transparent BOPP labels create a simple and clean image.